Light colors on walls make rooms look bigger than dark colors. Natural light is a must. If you can, color-coordinate your furniture so that it's the same or similar color as your walls; this creates the illusion of your furniture blending into your walls, thus creating a sense of more open space. If wall painting, new furniture, and color coordination sound like too much work, you can always get rid of what you already have to add more space. Big space or small space, having less stuff to deal with is always a good thing. 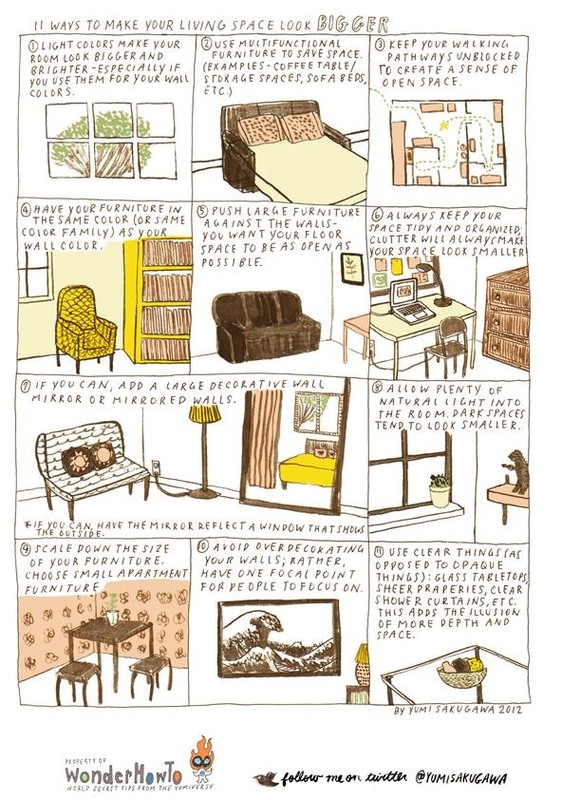 Got your own tips for making your living space appear more spacious? Share with us in the comments below! It can be a good reaon to lose some weight :) Sure you will have more spca eto stay in !!! !